I’m really enjoying this Christmas novel and am looking forward to getting back to it! This is a serial killer crime novel set over Christmas. It’s really fast-paced and I’m intrigued to read more! This is my current audio book. I’ve enjoyed previous Christmas novels by this author so thought I’d try her latest. It’s not got to Christmas yet but it’s a sweet, enjoyable story. This is one of my favourite Christmas novels, I think I’ve read it most years ever since I first bought it! It’s a gorgeous novel about a stockroom girl who’s determined to help save the department store where she works. It’s full of vintage inspiration and is just gorgeous! I recently bought this on a whim as it sounded very festive and I enjoyed it. It felt like it took a while to get going but once it did I really liked it. It’s got so much Christmas in it and definitely helped lift my spirits when I was feeling unwell. I listened to this on audiobook and very much enjoyed it. I highly recommend it on audio as it has a cast of famous people doing the different voices of the characters and I’m sure kids would love listening to it. I fell in love with this novel – it’s so beautiful and utterly stunning. I reviewed this yesterday so you can read my thoughts on it here if you’d like to. I’ve had this short novella on my TBR for a few years and finally picked it up this week. I needed something short to read as I was really ill over the weekend and my concentration wasn’t up to a longer book. This was an okay read but it felt like it took a while to get going and then the ending was a bit rushed. It’s quite festive though so I appreciated that. This is a short story that has also been on my TBR for ages. Unfortunately I didn’t enjoy this one at all. It’s clearly not a standalone story but a prequel to a novel and it doesn’t work on its own. This isn’t made clear in the blurb so it was a let down for me. I enjoyed this Christmas novel, it wasn’t quite as festive as I hoped but it was still a lovely book. You can read my thoughts in my review here if you’d like to. This is the last Christmas ARC that I have on my TBR so I’d like to get this read and reviewed asap. I’m looking forward to it. I love the sound of this book – it’s a murder mystery set at Christmas so now seems the perfect time to pick it up. I’ve had this book on my TBR for a couple of years now and I believe it features Christmas so I’m going to try and get to it in the coming days. This is another of the gorgeous Vintage Christmas editions that I got as a Christmas gift a couple of years ago. I usually read A Christmas Carol on Christmas Eve every year but I haven’t read many of Dickens’ other shorter stories so I’m planning to read one or two a day over the next couple of weeks. After Holly and her beloved Nana struggle through a snow storm to reach the cabin, they discover gorgeous and wealthy Joseph Barnes, who has been renting the cabin for the last few weeks, is now snowed in. And it looks like he’ll be staying for the holidays. Determined to make the best of the surprise situation, Holly tries to bring everyone together by baking delicious treats and decorating the cabin with plenty of festive sparkle. She finds herself growing close to handsome Joseph, who is unlike anyone she’s ever met before, even if Nana isn’t so keen on the dashing stranger with the mysterious past. Will Holly be able to find herself and the love she’s always dreamed of this Christmas? Holly is spending Christmas at her family’s cabin with her lovely Nana. This is the first Christmas they’ve spent there since Holly’s Papa died so it’s a difficult time for them and then when they arrive they discover a man there! Joe has been renting the cabin and due to the snow has had to stay on a bit longer. Holly and Joe are attracted to each other and the Holly’s old friend, the singer Rhett turns up and declares he still had feelings for her! I’m going to be honest and say that this novel wasn’t as festive as I was hoping it would be. There is a build up to Christmas but then it felt like it was over in the blink of an eye. Having said that the beautiful romantic treasure hunt on Christmas morning was so gorgeous and really epitomised the festive spirit. Nana was a wonderful character and seeing her find her way through her grief to re-connect with the happy memories she has of her late husband was so moving. I found the potential romance between Holly and Joe was really endearing. I really felt their connection and felt sad for Holly when it seemed it wasn’t meant to be. I didn’t warm to Rhett at all though and was hoping Holly wasn’t going to end up with him. It was in the balance for most of the novel how things would work out for her and I did enjoy the uncertainty around her romantic life. All in all this was a sweet and romantic novel with hints of Christmas running through it. I do love Jenny Hale’s writing and will definitely look out for her Christmas novels in the future. I received a copy of this book from Bookouture via NetGalley. All thoughts are my own. It Started with Christmas is out now and available here. When she graduated college, one of Jenny’s friends said “Look out for this one; she’s going to be an author one day”. Despite being an avid reader and a natural storyteller, it wasn’t until that very moment that the idea of writing novels occurred to her. Sometimes our friends can see the things that we can’t. Whilst she didn’t start straight away, that comment sowed a seed and several years, two children and hundreds of thousands of words later, Jenny finished her first novel, Coming Home for Christmas, which became an instant bestseller. Today I’m posting a round-up of Christmas books that I’ve read and reviewed this festive period in case you’re looking for a last minute Christmas read or Christmas book gift! I’ve read some wonderful and magical Christmas books this year so it’s near impossible to pick my favourites. I do have a real soft spot for Emma Davies’ Merry Mistletoe as it was different to any Christmas book I’ve read in a long time, not just this year, and I loved all the comforting imagery around feathers and robins. This is a short novel and I highly recommend it, especially to anyone looking for a comforting read this Christmas. I also adored Katey Lovell’s latest Meet Cute short story The Boy Under the Mistletoe. It’s a delicious five-minute read that will warm your heart and will instantly having you feeling more festive! 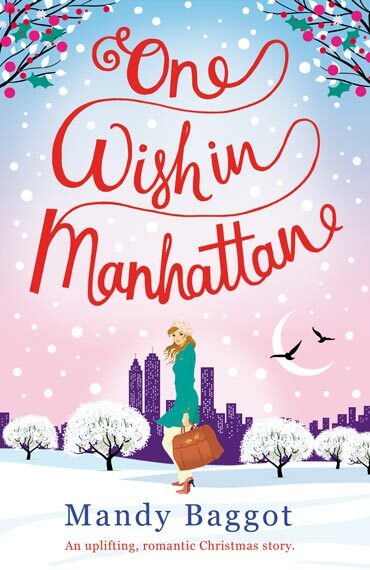 One Wish in Manhattan by Mandy Baggot became an instant favourite of mine and I know it’s a novel that I will come back to for many Christmases to come. It’s a gorgeous novel set entirely in the build up to Christmas, it has elements of A Christmas Carol running through it and won’t fail to make anyone feel festive. The Mince Pie Mix-Up by Jennifer Joyce was brilliant! It’s perfect for anyone who loves films like Freaky Friday – I love body-swap books where characters become someone else and literally have to walk in their shoes for a period of time and setting this over the festive period just made it even better. It’s a fab read! Abby Clements’ latest novel The Winter Wedding is more of a winter themed book than a Christmas one and yet it made me feel so festive. I think it’s the build up to a winter wedding – snow combined with romance is such a magical mix! 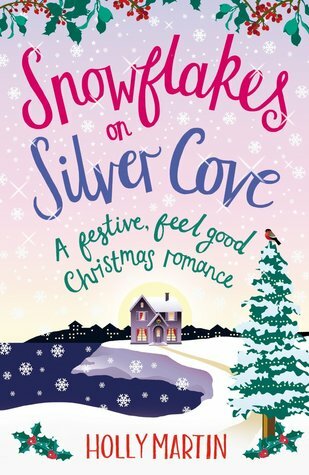 Holly Martin released two Christmas novels this year, both set in White Cliff Bay (Christmas at Lilac Cottage and Snowflakes on Silver Cove) but featuring different characters (although if you read both you may spot some familiar characters popping up). I adored both of these novels – Holly just writes with a perfect mix of humour, romance, and festivity! Winter’s Fairytale by Maxine Morrey is such a perfect Christmas romance. The whole novel is set in the couple of weeks before Christmas so it’s as festive as can be! T. A. Williams Christmas novel What Happens at Christmas is a lovely Christmas novel. It’s set in a beautiful village, with Chocolate box cottages and friendly locals. I loved it. I adored How To Stuff Up Christmas by Rosie Blake. It’s a perfect mix of being hilariously funny and incredibly heart-warming! I read Christmas Wishes and Mistletoe Kisses by Jenny Hale as part of Bookouture Christmas and am so glad I got the chance to read this novel. It’s a really sweet story about what is really important at Christmas and how spending time with other people can really help us be better versions of ourselves. I just read The Christmas Joy Ride by Melody Carlson this week and I loved it. It’s all how opening yourself up to new experiences can lead to unexpected and wonderful things happening. Snowed in the for her Wedding by Emma Bennet is a short novella, but it’s a lovely story. I loved how a whole community pulled together at Christmas to help their local girl Gwen have her Christmas Eve wedding despite the heavy snow. Christmas at Cranberry Cottage by Talli Roland is a lovely novella. I most enjoyed the nostalgia in this story, as the main character tries to save her Gran’s cottage and reminisces about growing up there and all the Christmases spent in that lovely home. Last night I finished reading Every Time A Bell Rings by Carmel Harrington and it simply has to be added to this list, it’s such a gorgeous and utterly perfect Christmas read! It’s inspired by It’s A Wonderful Life and is just magical, go read it! It’s up there with my all-time favourite Christmas reads! I hope this helps you find the perfect Christmas read for over the next week or so. You really can’t go wrong with any of the above books, they’re all wonderful. Wishing you all a very happy and book-filled Christmas! 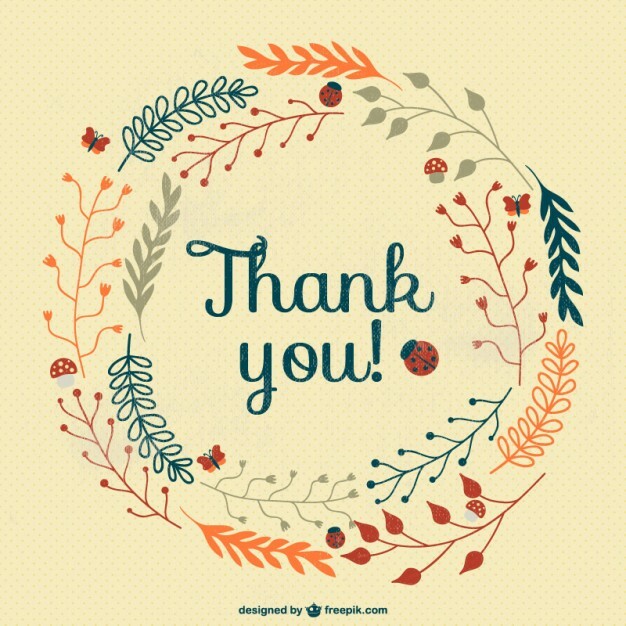 For my monthly wrap up this month I want start by taking the time to say a huge thank you to all of you who have ever read a post on my blog, or liked, or commented; to all of you who have share a post that I’ve written on social media; to all of you who have clicked to follow my blog. I have been blogging now since the end of August this year and never expected that anyone would read it. I started my blog because I needed a project, something fun to focus on, and a book blog seemed the perfect thing for a bookaholic like me. I made it my aim to post something book-related every day and I think I’ve just about managed to keep to that. Mostly I write reviews but I also have my own bookish memories series, I join in with a couple of weekly memes, and I always do a weekly and monthly wrap up post as well. Since the end of August my blog has had almost 1200 visitors, over 2800 views and it has over 600 followers from various places. Last week I earned my Net Galley badge for Top Reviewer, which was a lovely surprise and a real confidence boost. Through book blogging I have achieved something for me again, I have found something that I can do for myself and I don’t have the words to explain how big a deal that is for me right now (but trust me, it’s a huge deal!). To find that people are reading and sharing my blog posts has given me such a much-needed lift and I am so incredibly grateful. Anyway, on with the books! I read eighteen books in October and have reviewed seventeen of them (Please click the titles to read the reviews). The list is in the order I read them. (1) Discovering authors you’ve not read before and enjoying their book so much you feel compelled to buy all of their previous work right away! This month this happened to me FIVE times!! I read Mandy Baggot, Claire Seeber, Lynsey James and Emma Davies for the first time and have now bought just about all of their previous books. I also read my second Holly Martin book, which just confirmed what a fabulous writer she is and now all of her books are on my Kindle waiting to be read soon too! (2) When an author you are a massive fan of releases a new book! 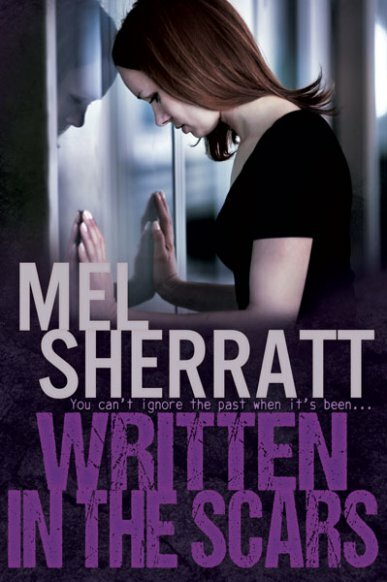 Mel Sherratt’s new book, which was just released on Friday, is the fourth in her Estate series and I loved it (review here). I have read all of her previous books and they’re all completely brilliant! I bought and read Taunting the Dead back when it was self-published, and have been a huge a fan from that point on! Which books did you read in October? Have you found any new-to-you authors? Please share with me in the comments below (and feel free to leave a link back to your own blog). 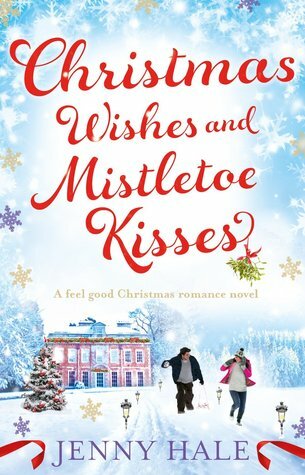 On my blog today, as part of Bookouture Christmas, I have a review of Jenny Hale‘s wonderful Christmas Wishes and Mistletoe Kisses. Keep reading to the end of this post as I have a giveaway of an ecopy of this book up for grabs! Christmas Wishes and Mistletoe Kisses is a wonderful Cinderella story about Abbey and Nick. Abbey is a single mum to six year old Max; she works as a nurse to Caroline but dreams of having her own interior design business. After she re-decorates Caroline’s home she is offered the chance to re-decorate and furnish Caroline’s Grandson’s mansion. Nick is Caroline’s Grandson. He lives alone in his mansion and has done ever since he and his wife divorced. He puts all his time and energy into running the family business that his father left to him. Abbey and Nick get to know more about each other as Abbey is re-designs the interior of his house and she begins to get under his skin. He feels a need to look out for her and make sure that she is ok. After Nick meets Max he begins to form a bond with the boy despite saying that he never wants children of his own. This novel has all the elements you could possibly want in a Christmas novel: It has romance, it has snow, it has a storyline that will tug at your heartstrings. I loved seeing how Abbey and Nick’s relationship developed, it was lovely how it wasn’t all one-sided. Nick lavished gifts on Abbey but actually what she gives him is so much more important. She teaches him about the value of making time to be with loved ones and about following his dreams. It’s a wonderful reminder of what Christmas is really about. One of my favourite moments in the novel was when Nick took Abbey and Max to meet the real Santa, it just made me melt and reminded me of those wonderful visits that I was taken on as a child to see Santa. It gave me goosebumps when Santa’s feet appeared down the chimney and reminded of the magical set up at the place where my mum used to take me. This is the first book I’ve read by Jenny Hale but I’m absolutely certain that it won’t be the last, I’m now very much looking forward to reading her other novels. I rated this book 9 out of 10 and recommend it to everyone who loves a cute, romantic and magical novel to read at Christmas. I received this book from Bookouture via Net Galley in exchange for an honest review. Christmas Wishes and Mistletoe Kisses is out now and available from Amazon. Sometimes our friends can see the things that we can’t. Whilst she didn’t start straight away, that comment sowed a seed and several years, two children and hundreds of thousands of words later, Jenny finished her first novel – Coming Home for Christmas – which became an instant bestseller. Bookouture have very kindly allowed me to run an international giveaway for one lucky winner to win an e-copy of this fabulous book. Please enter here and good luck! I will be running more giveaways throughout Bookouture Christmas week so please stop by each day for your chance to win! Please click on this link to Rafflecopter to go enter my giveaway! Over the course of Bookouture Christmas week I’ll be posting reviews, Q&As, guest posts, extracts and giveaways all to do with these fabulous books! This week has flown by, I can’t believe it’s Saturday already and time for my weekly wrap up! Lots has been happening this week and my blog is probably the busiest it’s ever been to date! I’m part of the fabulous publisher Bookouture’s Christmas week over on twitter. 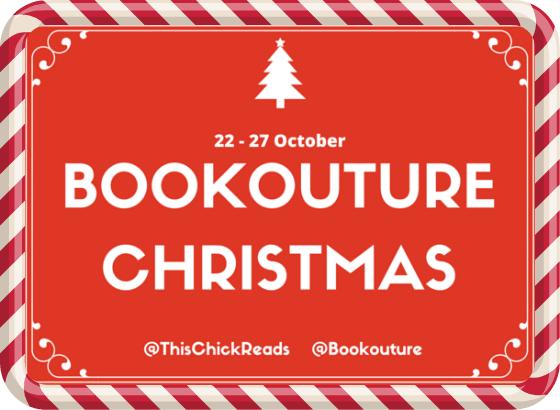 Every day between the 22nd and 27th October fifteen bloggers, including me, are posting reviews, guest posts, Q&As and giveaways all to do with Bookouture’s Christmas books. Here are the links to my posts so far. Please check them out and enter the great giveaways for a chance to win some ebooks. I’m still reading this one and very much enjoying it. I had to focus on other books for review this week to meet a deadline but now I’m planning on spending the weekend reading this. From the critically acclaimed author of Lies We Tell Ourselves comes an emotional, empowering story of what happens when love isn’t enough to conquer all. Toni and Gretchen are the couple everyone envied in high school. They’ve been together forever. They never fight. They’re deeply, hopelessly in love. When they separate for their first year at college—Toni to Harvard and Gretchen to NYU—they’re sure they’ll be fine. Where other long-distance relationships have fallen apart, their relationship will surely thrive. The reality of being apart, however, is a lot different than they expected. 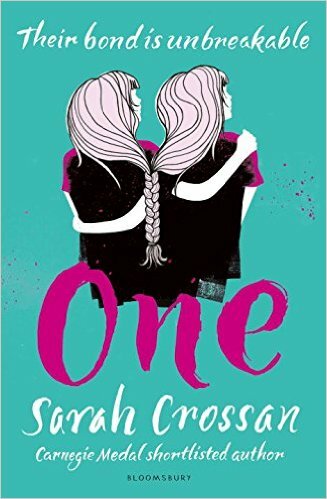 As Toni, who identifies as genderqueer, falls in with a group of transgender upperclassmen and immediately finds a sense of belonging that has always been missing, Gretchen struggles to remember who she is outside their relationship. While Toni worries that Gretchen, who is not trans, just won’t understand what is going on, Gretchen begins to wonder where she fits in Toni’s life. As distance and Toni’s shifting gender identity begins to wear on their relationship, the couple must decide—have they grown apart for good, or is love enough to keep them together? I started reading this yesterday and it’s very good. Anyone who loves, or has ever loved, listening to music on vinyl should go buy this book when it’s released soon. Grammy-nominated producer and Tompkins Square label founder Josh Rosenthal presents his first book, The Record Store of the Mind. Part memoir, part “music criticism,” the author ruminates over unsung musical heroes, reflects on thirty years of toil and fandom in the music business, and shamelessly lists some of the LPs in his record collection. Crackling with insightful untold stories, The Record Store of the Mind will surely delight and inspire passionate music lovers … especially those who have spent way too many hours in record stores. Celebrating ten years in 2015, Rosenthal’s San Francisco-based independent record label Tompkins Square has received seven Grammy nominations and wide acclaim for its diverse catalog of new and archival recordings. I was offered the chance to review this book and I couldn’t resist, it sounds like an excellent read. I’ve been so looking forward to reading it and am really hoping I can start it early next week. DOES EVERYTHING IN LIFE HAPPEN PURELY BY CHANCE? OR ARE WE GUIDED TOWARDS PEOPLE WHO CAN HELP US IN OUR HOUR OF NEED? Following the sudden death of her beloved mother, Jessica Gibson’s world falls apart. But after meeting a man who seems heaven-sent, she starts to feel she has something to live for again, and soon discovers that their connection holds far more significance than she could ever have imagined. And when Jessica strikes an unlikely bond with Alexandra Green, the two new friends are taken on an emotional journey into the world of the supernatural, where psychic mediums pass on messages from beyond the grave. What — or who — is causing the strange goings-on in Alex’s home? What secret is she keeping from Jessica? And who is the young woman who so badly needs their help? In a series of surprising twists and turns, the pieces of the puzzle finally fall into place and a mystery is unwittingly solved — with life-changing consequences for all involved. 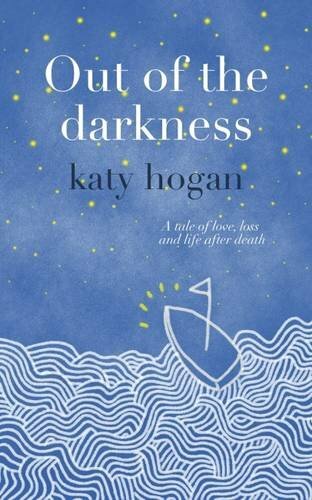 ‘Out of the Darkness’ is an uplifting tale of friendship and redemption; of love and loss. And life…after death. This is a review copy that I was lucky enough to receive recently, it’s a long book so I expect to be reading it over the next few weeks but it sounds wonderful. In April 1925, Jean Lucey Pratt began writing a journal. She continued to write until just a few days before her death in 1986, producing well over a million words in 45 exercise books over the course of her lifetime. For sixty years, no one had an inkling of her diaries’ existence, and they have remained unpublished until now. Jean wrote about anything that amused, inspired or troubled her, laying bare every aspect of her life with aching honesty, infectious humour, indelicate gossip and heartrending hopefulness. She recorded her yearnings and her disappointments in love, from schoolgirl crushes to disastrous adult affairs. She documented the loss of a tennis match, her unpredictable driving, catty friends, devoted cats and difficult guests. With Jean we live through the tumult of the Second World War and the fears of a nation. We see Britain hurtling through a period of unbridled transformation, and we witness the shifting landscape for women in society. As Jean’s words propel us back in time, A Notable Woman becomes a unique slice of living, breathing British history and a revealing private chronicle of life in the twentieth century. 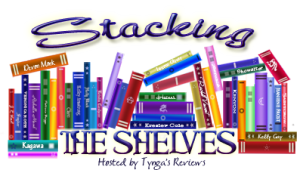 I’m also joining in with Stacking the Shelves (hosted by Tynga’s Reviews), which is all about sharing all the books you’ve acquired in the past week – ebooks or physical books, and books you’ve bought or borrowed or received an ARC of. I was very excited to win a Harper Impulse ebook in a competition last week and even more excited when the book arrived on my Kindle and it was a book I’ve been dying to read. The book is Never Kiss A Man in a Christmas Jumper by Debbie Johnson. Isn’t that just the BEST title for a book? I’m sure it’s going it be a fab read! I started reading this last night and read until my eyes just couldn’t stay open another second. I’m loving this book! I’ll definitely be making time today to finish reading it and my review will be up on 26th October as part of BookoutureChristmas week on my blog! I’ve only read the introduction to this book so far but it seems like it’s going to be a really interesting read. Grammy-nominated producer and Tompkins Square label founder Josh Rosenthal presents his first book, The Record Store of the Mind. Part memoir, part “music criticism”, the author ruminates over unsung musical heroes, reflects on thirty years of toil and fandom in the music business, and shamelessly lists some of the LPs in his record collection. Crackling with insightful untold stories, The Record Store of the Mind will surely delight and inspire passionate music lovers … especially those who have spent way too many hours in record stores. I’ve been reading this over the last few days and really enjoying it. It’s such a great book about people finding space to be who they are. I really enjoyed this book. It was one of those thrillers that I just couldn’t put down! Leah Mills lives a life of a fugitive – kept on the run by one terrible day from her past. It is a lonely life, without a social life or friends until – longing for a connection – she meets Julian. For the first time she dares to believe she can live a normal life. Then, on the fourteenth anniversary of that day, she receives a card. Someone knows the truth about what happened. Someone who won’t stop until they’ve destroyed the life Leah has created. But is Leah all she seems? Or does she deserve everything she gets? Everyone has secrets. But some are deadly. This book is outstanding and will definitely be one of my top reads of this year, if not THE top read. I highly recommend pre-ordering it now! 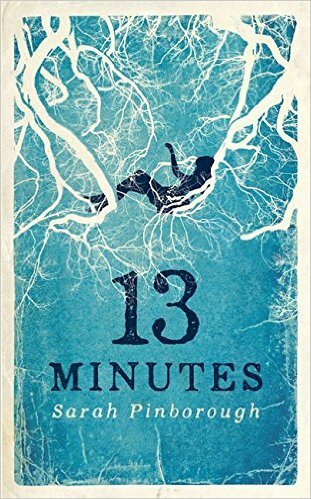 13 MINUTES by Sarah Pinborough is a gripping psychological thriller about people, fears, manuiplation and the power of the truth. A stunning read, it questions our relationships – and what we really know about the people closest to us . . . This is a great little book for anyone who finds themselves getting increasingly stressed with all the Christmas planning, or for people who just take on too much over the holiday season. I found lots of useful ideas that I plan on using from now on. Have you lost your Christmas joy? Does the thought of jam-packed malls, maxed-out credit cards, overcrowded supermarkets, and endless to-do lists give you the feeling that maybe Scrooge was on to something? 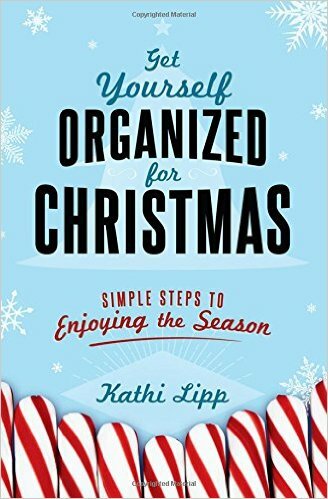 By putting into practice Kathi’s tricks and tips, you’ll finally be able to fully enjoy this most wonderful time of the year. In April 1925, Jean Lucey Pratt started a journal that she would keep for the rest of her life, producing over a million words in 45 exercise books. For sixty years, no one had an inkling of her diaries’ existence, and they have remained unpublished until now. Jean wrote about anything that amused, inspired or troubled her, laying bare her life with aching honesty, infectious humour, indelicate gossip and heartrending hopefulness. She recorded her yearnings and disappointments in love. She documented the loss of a tennis match, her unpredictable driving, catty friends, devoted cats and difficult guests. With Jean we live through the tumult of the Second World War and the fears of a nation. We see Britain hurtling through a period of unbridled transformation and the shifting landscape for women in society. A unique slice of living, breathing British history, Jean’s diaries are a revealing chronicle of life in the twentieth century. Bella Bradley is the queen of television baking – a national treasure. Her Christmas specials have been topping the ratings for years and her marriage to Peter ‘Silver Fox’ Bradley is the stuff of Hello magazine specials. But this year things are going to be different. For Amy Lane, Bella’s best friend from school, life hasn’t held quite the same sparkle. And when Amy’s husband walks out three weeks from Christmas, it seems their lives are further apart than ever. 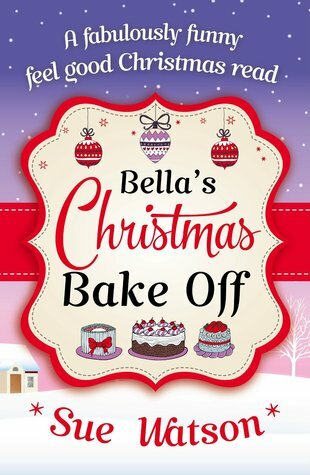 A hilarious, heart-breaking and feel good read about best friends, baking and the magic of Christmas. I’ve read 88% of this on my Kindle and it’s absolutely brilliant, I can’t wait to get back to it! I’ve only read the first six chapters so far and I really enjoyed them. The Darling children have just arrived at Neverland so I’m interested to see what Oakes does differently from the original Peter Pan story. Wendy Darling has a perfectly agreeable life with her parents and brothers in wealthy London, as well as a budding romance with Booth, the neighborhood bookseller’s son. But one night, while their parents are at a ball, the charmingly beautiful Peter Pan comes to the Darling children’s nursery, and—dazzled by this flying boy with god-like powers—they follow him out of the window and straight on to morning into Neverland, an intoxicating island of freedom. As time passes in Neverland, Wendy realizes that this Lost Boy’s paradise of turquoise seas, mermaids, and pirates holds terrible secrets rooted in blood and greed. As Peter’s grasp on her heart tightens, she struggles to remember where she came from—and begins to suspect that this island of dreams, and the boy who desires her, have the potential to transform into an everlasting nightmare. 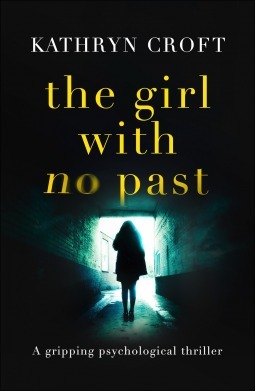 I really enjoyed this book, it’s a brilliant thriller that I found genuinely impossible to put down! My best friend, Emily, is dead – killed last night in a hotel fire. But it was meant to be me. Now I have 24 hours to find my daughter. Before he finds out I’m still alive. 24 Hours is a fast-paced, intelligent psychological thriller that will leave you breathless. I loved this book, I highly recommend it. Luna Bay hasn’t changed much in the eight years she has spent in London. The little Yorkshire village is still just as beautiful, but the new pub landlord is a gorgeous addition to the scenery! 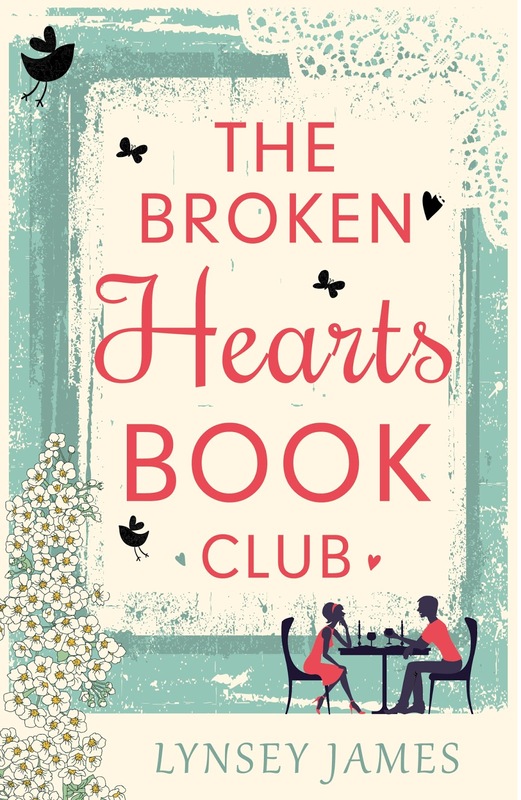 Lucy only intended to stay for a day, yet when she discovers that Nana Lily has not only left her a cottage but also ‘The Broken Hearts Book Club’, Lucy is intrigued. Her Nana never have mentioned the club and Lucy can’t wait to get started, but walking into her first meeting she is more aware than ever that her past is finally catching up with her. Another very enjoyable read from this week, I read this in one sitting too. Amy Sue Nathan writes such great characters that you miss them when you finish reading. Izzy Lane never thought of herself as a liar. In fact, she’s always played by the rules. 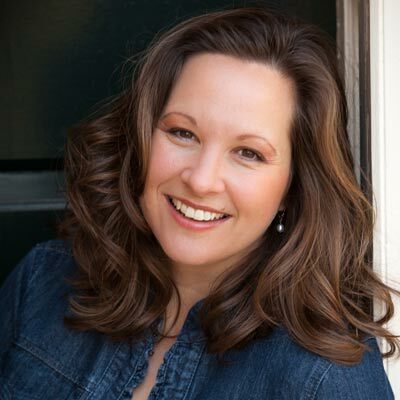 She’s an excellent mother, has loyal friends, and a rich career as a school counselor. Fresh from a new divorce, however, Izzy feels like she needs a little fun. So when, on a whim, she starts a blog it seems like a rather benign indulgence. But as her online quips begin to gain traction, Izzy makes a slip. Somehow a new boyfriend winds his way into the picture. The problem? Izzy makes him up. What, at first, feels like a harmless fib quickly spins out of control and Izzy must figure out how to balance fantasy and reality. Keeping up appearances while managing an absent ex-husband, two very nosy friends, a toddler son, and full-time job soon prove impossible, and Izzy feels utterly lost. It’s only when her long-time neighbor and surrogate mother, Mrs. Feldman, re-enters her life that Izzy begins to see the mess she’s made. And it’s with Mrs. Feldman’s guidance that Izzy learns to face reality, find comfort in new norms, and open herself up to the possibility of real love. I’ve already read a couple of chapters of this and I think it’s going to be another one of those books that’s very hard to put down! Then, on the twentieth anniversary of that day, she receives a card. Someone knows the truth about what happened. Someone who won’t stop until they’ve destroyed the life Leah has created. I love a good Christmas book and I cannot wait to start this one, I’m excited already!